Yes, mathematics is an entirely self-referential language. That’s the very reason why it’s so useful. Complaining that math isn’t about some thing is like complaining that paint isn’t an image – and even Hacker concedes that math can be used to describe much of the world. For most scientists the discussion stops at this point. The verdict in my filter bubble in unanimous: mathematics is the language of nature, and if schools teach one thing, that’s what they should teach. I agree with that of course. And yet, the argument that math is the language of nature preaches to the converted. For the rest it’s meaningless rhetoric, countered by the argument that schools should teach what’s necessary: necessary to fill in a tax return, calculate a mortgage rate, or maybe estimate how many bricks you need to build a wall along the US-Mexican border. School curriculums have to be modernized every now and then, no doubt about this. But the goal cannot be to reduce a subject of education based on the reasoning that it’s difficult. Math is the base of scientific literacy. You need math to understand risk assessments, to read statistics, and to understand graphs. You need math to understand modern science and tell it from pseudoscience. Much of the profusion of quack medicine like quantum healing or homeopathy is due to people’s inability to grasp even the basics of the underlying theories (or their failure to notice the absence thereof). For that you’d need, guess what, math. But most importantly, you need math to understand what it even means to understand. The only real truths are mathematical truths, and so proving theorems is the only way to learn how to lead watertight arguments. That doesn’t mean that math teaches you how to lead successful arguments, in the sense of convincing someone. But it teaches you how to lead correct arguments. And that skill should be worth something, even if Hacker might complain that the arguments are about nothing. I thought of this recently when my daughters had their school enrollment checkup. One of the twins, Lara, doesn’t have stereo vision. We know this because she’s had regular eye exams, and while she sees well on both eyes separately, she doesn’t see anything on the 3d test card. I’ve explained to her why it’s important she wears her eye-cover and I try to coax her into doing some muscle building exercises. But she doesn’t understand. And how could she? She’s never seen 3d. She doesn’t know what she doesn’t see. And it’s not an obvious disability: Lara tells distances by size and context. She knows that birds are small and cars are large and hence small cars are far away. For all she can tell, she sees just as well as everybody else. There are few instances when stereo-vision really makes a difference, one of them is catching a ball. But at 5 years she’s just as clumsy as all the other kids. Being math-blind too is not an obvious disability. You can lead a pleasant life without mathematics because it’s possible to fill in the lack of knowledge with heuristics and anecdotes. And yet, without math, you’ll never see reality for what it is – you’ll lead your life in the fudgy realm of maybe-truths. I hear an echo of my 5 year old’s voice in these essays about the value of math education. It’s trying to tell someone they are missing part of the picture, and getting a reply like “I have never used the quadratic formula in my personal life.” Fine then, but totally irrelevant. Rather than factoring polynomials, let’s teach kids differential equations or network growth, which is arguably more useful to understand the world. Math isn’t going away. On the very contrary it’s bound to dramatically increase in significance as the social sciences become more quantitative. We need that precision to make informed decisions and to avoid reinventing the wheel over and over again. And like schools teach the basics of political theory so that children understand the use of democracy, they must teach mathematics so that they understand the use of quantitative forecasts, uncertainties, and, most of all, to recognize the boundary between fact and opinion. I personally disagree that "mathematics is the language of nature". The state of the art is that the measurable effects of the natural language can be modeled with mathematics. So I think that this proposition cannot be proven in the current state of physics. But it is the only language where specialists agree with each others. There is never a problem with a math demonstration. It is right or wrong. Then maths are widely used where efficient communication is needed (e.g. engineering) but never where lies are believed efficient (politics). "There is never a problem with a math demonstration." thar's not a math proof or demonstration until at one or more persons confirms its detaills. until then it is only a proposed proof. you say you agree with the statement that "mathematics is the language of nature" yet there is no evidence that that is true outside of theoretical physics. mathematics has been singularly unsuccessful when used in the social sciences and is only of limited use (so far) in the biological sciences. moreover, no one has ever provided a satisfactory (to me anyway) explanation of why mathematics is 'successful' even in the physical sciences (the essays in the recent FQXi contest amount to a lot of unconvincing hand-waving arguments). Wolfram has proposed that it is better to view as nature from the viewpoint of computation, rather than mathematics. i would suggest that all we can say is that mathematics has been the most useful tool we have for understanding certain sorts of natural phenomena (note: attempts by people like Tegmark to express consciousness (which certainly qualifies as a natural phenomenon) in mathematical terms are of no value because it is based on Tononi's IIT which uses an arbitrarily chosen definition of consciousness and leads to some nonsensical conclusions as Scott Aaronson has pointed out). actually, it is not at all clear what it means to say that 'mathematics is the language of nature' as there is no reason to believe that nature itself employs mathematics in determining the behavior of at least certain entities found in the real world. you also say that "The only real truths are mathematical truths" but it is hard to comment on that statement because you don't define what it means to be a 'real truth'. The only truth (about nature) that i have found to be absolute is that 'if an entity is born, then it will eventually die' and it is uncertain what that means unless one defines what it means to be born and to die (and the period in between). btw - a number of individuals have an inability to see in 3D, including the actor Johnny Depp who says that he has never watched any of his "pirate" movies in 3D for this reason. With "mathematics is the language of nature" I just mean that mathematics has proved useful to describe nature, and there is no phenomenom of which it is known that it can not be described by mathematics. It is plainly wrong that "mathematics has been singularly unsuccessful" outside of theoretical physics. There is quantitative modeling in some areas of the social sciences, economics, biochemistry, medicine (think disease spread). Network science is all over the place, in anything from neural networks to computer networks, so are stochastic differential equations. In any case, I certainly have not said that everything will one day be described by math. I consider this possible but pointless, since I believe that nature itself is better at executing the math than we can ever be. We can only do better when systems can be enormously simplified, as it is in physics. In many cases in sociology or biology, it is questionable that this is possible. I don't know how to make sense of the question "why" mathematics is successful. I also honestly don't find it very interesting. It works, so let's use it. "it is hard to comment on that statement because you don't define what it means to be a 'real truth'." That's the point! The only definitions which are unambiguous are self-referential and hence mathematical ones. Yes and No. It's important to be able to think mathematically. It's important to be able to think computationally. It's important to be able to think in lots of different ways. The challenge with math is similar to the challenge with most specialized ways of thinking. It involves specialized language -- and in the case of math specialized symbols. Because of that it seems very foreign and forbidding. Even learning some of the symbols doesn't make the rest of them easy. Let's assume you can read music. Perhaps you can even pick out the notes on a piano. That doesn't mean you can play the violin or the harmonica. Learning some math is like learning to read music. It doesn't necessarily make it easier to play the violin or the harmonica, i.e., to understand other math specializations. Even mathematicians often don't understand each other's work. So yes, it's important to learn how to think mathematically. One shouldn't teach that by forcing kids to memorize formulas. How should you teach it? I don't know. Perhaps teaching network theory would help. Perhaps teaching probability would help. As I said, I would also teach computing. But what and how to teach is not an easy subject. Yes, I agree with that. It's more important to learn how to "read" math than how to "speak" math, but I also think that pretty much anybody can learn how to "speak" a few simple sentences just to figure out how it works. It's like pretty much anybody in school learns how to play some instrument or how to draw with a pencil, not because all of them are supposed to become master composers or painters, but to give them a sense for how it works - and also a basis in case they want to pursue the matter farther than that. If one wants to do any kind of social science, at a minimum one has to understand statistics. If it makes people in this math-phobic culture feel better, we can separate out statistics from mathematics. The comments by akidbelle and naivetheorist are pretty common to those subscribing to some sort of mathematical nomimalism. I think there is a hesitancy among some to subscribe to mathematical realism (the idea that, at a minimum, mathematical truths are independent of any human minds existing), which to me seems ludicrous at this stage of civilization. We have seen a monumental shift in the power of the natural sciences over the last several centuries, and that is by and large attributable to the "mathematization" of physics, chemistry, biology, etc. This began around the era of Galileo, Kepler, and Fermat and has shown no signs of abating (and in all likelihood never will). I mean our best theories of science talk about things in reality as abstract wavefunctions in infinite dimensional Hilbert spaces, and when we calculate certain predictions to an absurd degree of precision, it becomes really difficult to take someone seriously when they deny the mathematical structures inherent to the calculation itself. I mean, if we're trying to understand the structure of nature through studying certain mathematical structures/objects, then that certainly means that some deep aspects of the world are indeed instantiated or "map onto" the mathematics itself. I also agree with you that everything isn't going to be explained away by mathematics. There's so much going on in the world that it would be impractical. But I will always agree with Carl Friederich Gauss when he said that it is the "Queen of the Sciences." Indeed, I happen to think that mathematics is the greatest achievement humanity has every come to know. It's allowed us to understand the world, travel to far off planets (impossible without orbital mechanics and the dense mathematics that entails), engineer structures that our ancestors would only think Gods capable of building, etc. "Mathematics, rightly viewed, possesses not only truth, but supreme beauty— a beauty cold and austere, like that of sculpture, without appeal to any part of our weaker nature, without the gorgeous trappings of painting or music, yet sublimely pure, and capable of a stern perfection such as only the greatest art can show. The true spirit of delight, the exaltation, the sense of being more than Man, which is the touchstone of the highest excellence, is to be found in mathematics as surely as poetry." "you need math to understand what it even means to understand" hence the desirability of a polity that cannot calculate, quantify, estimate, or handle a characteristic much less a mantissa; imagine algebra and geometry, much less their link; question a suit (proletariate) or a lab coat (bourgeoisie). If it is not math it is only opinion. Franz Xaver Messerschmidt, “The Vexed Man” It pops right out at you. I wonder if it possible to develop a better metaphor than mathematics? "..., and, most of all, to recognize the boundary between fact and opinion." I believe that the vast portion of all the chaotic disagreements that one encounters online is due to this unrecognized boundary by so many people. It has long been one of my own personal truths that, "Truth is not assertion, and assertion is not proof." what restrictions are there on comments? can one address the comments made by others (as one does foe example, in amazon reviews) or should comments only address what's in the blog? just want to know the boundaries. Possible typo: "have to be modernized every one and then"? In English "every now and then" is common usage (meaning every once in a while), but I have previously not seen "one and then". I like to think of math generally as any thinking that is used to make decisions or solve problems. For example, there is a waterhole in the plain surrounded by thick shrubs. I see a pride of 13 lions enter the shrubbery. I am thirsty, but I wait. Later I see 12 lions leave the water hole. Is it safe to go get a drink? The rest is just evolution into lots of different forms, over thousands of years, from counting to addition and subtraction, then multiplying and dividing, which leads to rational numbers, which lead to irrational numbers, et cetera. A bit of math history might enliven math teaching. Imagine trying to multiply and divide using Roman numerals, for example. (E.g., What's MMCMXLVII divided by CXXLIV?) I have read the Romans had a trial-and-error method to do it, but it used a lot of trials and errors. I think every math teacher should use my favorite Einstein saying: "All mathematicians make mistakes. Good mathematicians find them." I won't bother to examine what is at the link you provided and simply grant that you may have demonstrated one should hardly ever say "never" in a technical discussion. I don't presume to speak for Sabine, but perhaps she would have been better served to write "extremely rarely" rather than "never". That's it in a nutshell I think! Math isn't really the language of nature, rather, it's the language of language. If you think about it, the mathematical exercise starts off with transcription, proceeds through logic, and arrives at pattern, pattern generally constrained to declarative language! This is what makes proof possible, the rules of inference are all tautologies or identities. You know, recently I was blown away when I read, somewhere, I think it was stated by Peter Smith, that many mathematicians have never worked through a formal course on mathematical logic or set theory! How is this even possible? The best, or most efficient, way to test whether an argument is valid, is, generally speaking, with a Truth Tree but Truth Trees are an element of logic rather than mathematics! And while most intro level math texts include chapters on elementary set theory and, in some cases, elementary logic, I have never seen one include Truth Trees!?! The horror, the horror . . .
You know, I'm 48 years old so I don't really know much about the state of math education in schools today but I can't help but think it's much better. In the late 90's I was a volunteer with the FIRST organization and those kids seemed to have a pretty good comprehension of things; much better than I had when I was their age. When I was a kid it seemed all about rote memorization and algebraic manipulation. I was good at it but had no idea what it was even about and not the least bit inspired. In the early 00's I was forced by circumstance to learn how to develop software for PLCs and I found Hugh Jack's wonderful open-access book, "Automating Manufacturing Systems with PLCs," which teaches structured design techniques, one of which being Boolean Analysis. This just blew my mind! I would start with a piece of ladder logic I had created naively, and being familiar with electric and electronic circuits I had the knack for it, and I would swear that my ladder was as streamlined as could be, apply Boolean analysis, and get rid of half of it! Ha, Ha, Ha . . . That's really what got me hooked and I think that's probably what helps get a number of modern students - young people - hooked as well. Pure maths is really cool and inspiring once you have a sense for it, but starting out, I would recommend applications since applications can be soooooo awe-inspiring! Personally, I think a pre-requisite for any world leader should be at least a four-year degree in Mathematics including formal logic. It's not that they really need to KNOW mathematics but mathematics, or the process of learning it, tends to instill in one an appreciation for critical analysis, which, on some occasions, seems to be sorely lacking in world leadership. One of the problems is that math is commonly taught, even to children who are not college bound, in the context of a college preparatory curriculum, for whom it seems useless. Often people who hated math in that context, find real joy in math when it is put into a context that is relevant to them, e.g. in a vocational curriculum or in the context of a hobby or pass time. I learned a lot of probability and statistics, hexadecimal notation, rudimentary exponents and all other sorts of mathematical tidbits playing role playing games like Dungeons and Dragons. Lots of people find calculus easier to learn in the context of physics or economics than in the abstract. Numeracy hat lots of economic value in lots of fields and can even bring enjoyment. But, teaching that requires an ability on the part of th teacher to make what is being learned relevant to the student in some way or another. When a friend posted a "meme" (I mourn the internet's destruction through misuse of Dawkins' very useful term!) describing "One more day that I have not needed to use Algebra once," I commented, "But studying it improved your ability to think." She said no, it had not. In a fit of snark, I replied, "I see you have just disproved my assertion." Perhaps you would have been better served to read what I wrote because Matt was commenting on someone else's comment. Sure you can reply to comments. As long as they kind of stay on topic. Ie, try to remain interesting for the reader. the axiom of choice is considered dodgy by some, only acceptable up to certain cardinalities. out to equipotent with proof by contradiction), and logicians from the intuitionistic or constructivist camp find excluded middle dodgy. Thirdly, there are alternative assembly languages for maths that are quite different from ZFC, for example Dependent Type Theory, or category theory and topos theory. they can be successfully compiled into any of these different-strength assembly languages. But not all: for example, the statement that for every cardinality there is up to isomorphism exactly one Hilbert space of that dimension only works if you allow yourself the axiom of choice up to that cardinality. seem to be a large part maths that is robust against change of foundations. My apologies for confusing whom msleifer was addressing. Although he did quote the remark he took exception to, he did not specifically indicate to whom he was addressing his remark, which would have been helpful. Nevertheless, I certainly did read your entire post, as my first remark surely indicated; I do not complement an author for a "fine post" unless I have actually read the post. In any case, I don't see anything objectionable or insulting in my response to msleifer, so I think sarcasm directed toward me was uncalled for. necessary to calculate properties of metalloproteins containing a heavy element like tungsten. The profound impact of mathematics in science and technology can never be understated. In my research, however, I have discovered that the entire STEM (mathematics, technology, engineering and mathematics) community still does not differentiate 0's and 1's on the computer from their representation on paper. Intuitively, we understand that these two symbol domains are vastly different. On paper, digital symbols are 2-dimensional. On the computer, they exist in a 3-dimensional space that enables them to self-reference. This ability to ability to interact and self-reference is critical to understanding the "black box" nature of these systems. Yet, the STEM community still exists in Abbott's "Flatland" when it comes to this digital universe. The thing is, math is not as tough and complicated as it's said to be. In fact it's rather clear and easy. It does not, however, tolerate imprecision. In explaining it you cannot brush over details in the hope that in a bigger context later on those details will fill in themselves. This approach might work in philosophy, history, literature, even biology (and certainly in economics) but not in math. However, to get people sweat the details you need to be a really good teacher. Math is uniquely intolerant of bad teachers, unlike any other subject. In my own as well as in my daughter's school life I have witnessed the same classes (= courses) acing math in one year and botching it the other just to ace it again the next, all because of a good teacher taking a sabbatical year. Unfortunately, really good teachers are always a minority. In math it makes the most striking difference though. in the u.s., at least, math curriculum pre-university is all aimed at getting to calculus, the wrong target for most students. far more useful would be a curriculum aimed at statistics and finite math. The way mathematics is introduced to children - memorizing "math facts", tedious pages of addition, subtraction, etc., teaches them that it is arbitrary, boring, and has little to do with their everyday lives. There is no hint of anything more than base calculation for years of study. It is difficult for the average kid to develop much wonder and curiosity about math. Is the alphabet "about" anything? Letters are about writing and creating new words. Mathematics is about writing and creating new theorems. 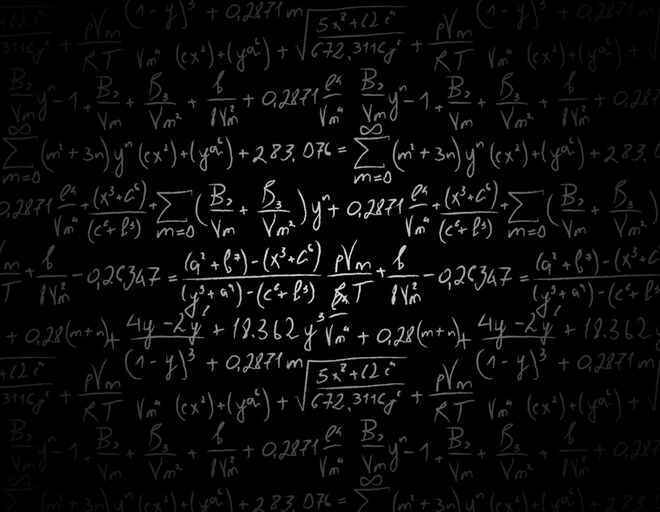 That is, to a research mathematician, to whom memorizing math facts is no more tedious than memorizing the alphabet. Few primary and secondary school math teachers are researchers, though, and are under pressure to teach something useful. Catch 22. "But most importantly, you need math to understand what it even means to understand"
Maybe I don't understand what it means to understand, but I don't see that math is a requirement for understanding in general. Do we really need mathematics to understand Darwin's theory of natural selection? And does the map of Paris also not contain some knowledge about the city of Paris and is useful to us and can be understood by us without using any mathematics? By understanding I mean something like simulating a model in my brain to predict a larger dataset (from Gregory John Chaitin). Words in spoken languages refer to elements of the world. Mathematical characters don't (unless accidentally). The main use of language isn't to create words, it's a communication code, but leaving this aside, mathematics isn't about "creating" theorems, it's about deriving theorems. For the former, anything goes, for the latter, not. I think a large part of the discussion above is exactly about what I said. Mathematics is the only language where all specialists agree with each other (even though in some cases - e.g. abc - it can take a lot of time, the reason being that during a long period of time, one mathematician developed a new branch of the language that no-one else understands - yet ?). It is all about the map and the territory; and it is never an isomorphism, it is always approximate. So you can see there is another way to be math-blind; it is to believe that the current map "is the right and last one", meaning "is isomorphic to the real thing". The most terrible example in my opinion is that many textbook in field theory includes a section titled "how to build a theory". Because in the current state of filtering it resumes to "the only method and semantics to write a map". (And filtering is worse than projections). You're on the 'discovery' side of the meaning of mathematics. In that respect, theorems are 'derived' from facts of nature in the same way in which facts of nature are discovered. "The main use of language isn't to create words, it's a communication code ... "
Really? Can you separate communication from creation? -- sounds like a 'just so' story to me. No, I am not on the 'discovery side' of the meaning of mathematics, I wrote about this here. Mathematical theorems are not 'derived from facts of nature' - I can't even make sense of that sentence. Which facts of nature did you derive the completeness of the complex numbers from? I also didn't say that words are not created, I merely said that the purpose of that creation is communication. I find it very tiresome you are constantly trying to assign opinions to me that I don't hold. I'm thinking, "chocolate did it!" or maybe math. Hi, can you separate anything from creation, in the permanent change of every thing, all the time, everywhere? No thing is ever found twice in the same state/place/time. I could even say that the very word "creation" is redundant. It is just a nickname for "time". Uncle Al, you have an interesting sense of humor, which I enjoy. But it is not always clear (to me, at least) whom you are mocking, or even if you are mocking someone. Nevertheless, you are a funny guy, and I just wanted to pass that along. I don't see in my comment where I assign an opinion on you (or anything else on you). Please explain. You continue to insist that I am saying reality is mathematics rather than what I have actually said that mathematics is used to describe reality (which does not exclude that nature also is mathematics, but is not necessarily implied). You did this first by claiming that my statement that mathematics is the language of nature means something else than that it describes nature, and next by assuming that I don't distinguish between a physical theory and mathematics. (Read your own comments.) So please stop it, I am tired of having to fight against assertions of opinions I have never expressed anywhere. it seems to me that what you understand from my comment is not at all what I was trying to mean. Your answer was a real surprise to me; so I don't know what to understand. I am sorry for that and for making you tired. I have read your response to my first comment, and I strongly agree with it. That is what I am trying to say in my next comment. Still, I insisted there (but that is not about you) that one can become math-blinded or rather map-blinded. I insist, I was not trying to discuss you personally or any of your opinions. I don't believe "maths is the language of nature". Nature seems to care little about its audience, let alone speak to it. Rather, it's the common language of its spectators. I've heard all of maths is a tautology. I prefer this definition. It suggests we use it in order to avoid tying ourselves into irreconcilable knots of logic. Regarding its use for calculation and prediction in sciences and engineering, well.. I think Eugene Wigner's 1960 essay on "The Unreasonable Effectiveness of Mathematics in the Natural Sciences" best captures the wonder of why it should work at all. As for how it should best be taught, my own sense is that teachers ought try more to demystify the spacey terminology than the concepts they describe. For example, many a student finds the word "asymptote" unapproachable, and consequently forgettable, though it describes an easy to understand idea. In this sense, math really should be understood as a language onto its own. To converse in it requires a certain facility in learning new words, and newer words still defined in terms of those words. Try learning abstract algebra without that skill.. I think people often confuse the underlying relationships, which are as real as reality is real, and which we discover, with how we choose to "spell" math, which we invent. 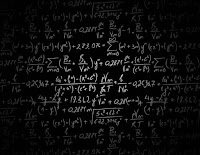 The question I have for those who feel math is purely a human invention with no connection to reality is: How else would you describe reality precisely? What other language would you use? The ratio of a circle's radius and circumference, the the patterns and relationships based on that, all beg a description. How else than with math? I apologize for putting words in your mouth. So what is your opinion -- is mathematics invented or discovered? What is the difference between deriving a theorem and inventing it? Does domain definition play a role? -- Euclidean geometry vs. acute/obtuse. The completeness of the complex numbers not derived from a fact of nature? -- how about self-organization? -- that's a fact of nature. I admire your comment in the 2010 piece you linked (I had not seen it) -- "Human imagination has limits set by our cognitive abilities. Excluding a possibility because we cannot today imagine it neglects that time may bring significant changes to our cognition or species." People today are too often too far educated beyond their intelligence. I don't think I agree. My younger son just finished elementary school (in Germany) and the learning material they used is much more practice-oriented than the one I remember from my school days (maybe just bad memory on my part but I don't think so). So I think there are some practical applications teached. Of course, doing a tax return or a mortgage calculation is still not done in school but it's more important, IMHO, to teach the basic techniques which enables one (hopefully) to apply them to e.g. a mortgage calculation. Mathematics is about comprehensibility. We live in a comprehensible universe. There are patterns in nature that can be exploited to further the goals of an organism with a mind. Mathematics is a formal way of extending the reach of our minds to deal with more difficult complex problems. It also, like language, allows multiple minds to work consistently on a given problem to achieve and exploit the results of peers and predecessors. I've been tutoring high school kids in math for a while now, and would hate to see us give it up. Even if they never use math as math again, the skills acquired working with math are extremely valuable. These include organization, notation, maintaining consistency, building an argument, following an argument, problem decomposition, mental exploration and making the damned whiteboard (or piece of paper) do some of the work. Even learning about operator precedence is valuable, especially now that most US schools no longer teach grammar. It is often the first time they realize that a sequence of linear symbols can have a non-linear structure. That alone is extremely valuable. The importance of using symbols and definitions to reason and argue is valuable in just about every field. Even in marketing and politics and medicine, the ability to draw a set of observables into an attribute, entity or syndrome is a valuable skill, and it is a skill enhanced and honed by learning mathematics. I strongly support the idea of teaching mathematics to all students. One of my few regrets in life is not having pursued the sciences further; there is a point past which academic education in science cannot go further without a grasp of math. I didn't even understand what mathematics was until years after university. How many hopeful students have abandoned academic goals because their fragile crafts were wrecked on Calculus Reef? I remember meeting a kid, the first day of summer camp, who wore glasses. He told me that until a week before, he had had no idea that he needed glasses. When he got his glasses a few days ago he went to a movie: and was utterly astonished that it was not a blurry mess! He had had NO idea! What if the universe was like a pile of laundry?